The Genting Highlands, another hilltop resort, is a theme park city that is accessible by skyway cable car. Sitting atop lush forested hilltops, guests will be surprised to see a large collection of theme hotels and resorts similar to the strip in Las Vegas. One of the five hotels, the First World Hotel, holds the record for being the largest in the world (and also one of the ugliest according to some). Under construction to be opened in 2016 is Twentieth Century Fox World, a theme park that will be similar to the Universal Studios Franchise. It is the home base for many Asian reality shows, concerts, and a large and vibrant nightlife, and a must-see for those who love this sort of venue. Located to the northeast of Kuala Lumpur, buses leave to the Genting Highlands every hour from KL Sentral. You can either take a bus directly there or get off at Awana Skyway and take a fantastic cable car ride for the last 15 minutes up the hill to the park. This journey should take around an hour and fifteen minutes in total. By car, it is slightly quicker to get to Genting Highlands. All you need to do is head north out of the city on the E33 and continue along the E8 until you see signs to Genting Highlands. From there, it is around a 20-minute scenic drive through some beautiful mountain scenery. 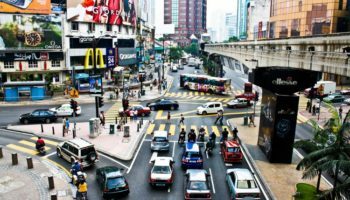 Another popular option amongst visitors to Kuala Lumpur is to take a tour to the Genting Highlands, where you’ll be able to explore all the delights of the theme park at your leisure without worrying about how to get there and back. See trip reviews & prices. As of 2012, almost all of the governmental ministries of Malaysia reside in Putrajaya. This planned city is the administrative center of the country, though Kuala Lumpur remains its capital city. It is the place to go to visit embassy buildings, see the government in action, and to discover spectacular architecture. From the ornate splendor of Putra Mosque and Istana Melawati to the lush expanse of the Putrajaya Botanical Gardens, this city offers a culturally rich experience for the thousands of civil servants living here, as well as the visitors who come to discover Putrajaya for themselves. The administrative center of Malaysia couldn’t be simpler to reach by public transport; it only takes 20 minutes from Kl Sentral by KLIA Transit train. From Putrajaya Sentral, it is then a short bus journey to the center of the city; signs and a ticket office will help you find the way. A great way to see all of Putrajaya’s incredible architecture is to take a guided tour from Kuala Lumpur; this will take you around all the most distinctive buildings, which you’ll learn about from your guide. In addition to this, tours also include a stop at an Agricultural Heritage Park, where you’ll learn how rubber is made and about traditional Malaysian products. See trip reviews & prices. Bukit Fraser is a hill resort, located on the Titiwangsa Ridge in Malaysia. 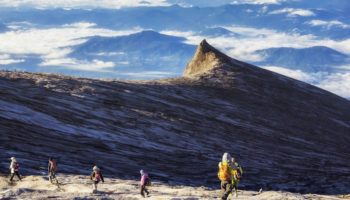 It includes seven peaks and a forest that is considered to be one of the most pristine in Southeast Asia. This ancient forest bedecked with hanging moss is well known for its diverse bird population, and many birders travel here and stay in the half dozen hotels in the area. Golfers also find great courses here, in areas that were once cleared to create a small tin mining region. 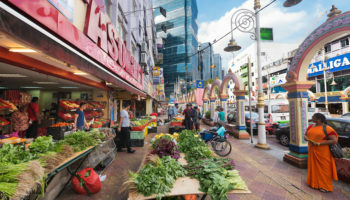 This is a very popular spot with native Malay and Singaporeans, many of whom simply love to walk the many trails in the region and enjoy the cool climate. Unfortunately, the lovely hill resort of Bukit Fraser has no direct link to the capital, so it isn’t possible to visit by public transport. 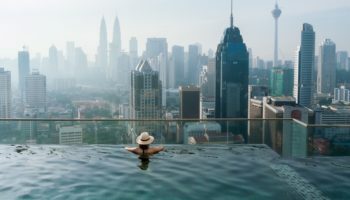 The nearest you can get is to take an hour and fifteen-minute train from KL Sentral to the town of Kuala Kubu Bahru, where you can then take a 45-minute taxi ride to the resort. This should cost around 80 MYR. By car is much simpler, although it again takes around two hours. On road 1, head directly north past Batu Caves (or stop off and visit them if you have time), and simply follow it all the way to Kuala Kubu Bahru. From there, it is a delightful drive through some wonderful scenery on the 55, which will take you directly to Bukit Fraser. This cape town is about an hour’s travel from Kuala Lumpur. It has been a busy port town since colonial times, when it served as an export site for charcoal and tin ore. More recently, it has added a pair of refineries, and maintains its importance in the shipping trade. Despite this, the beaches here are white, warm and pristine, and it contains a large number of resort hotels that developed during the economic boom of the nineties. Today, the rooms are still new but somewhat underutilized, and can be a great discount for families and other visitors taking an extra few days at the beach. If cities are preferred, the city of half a million boasts a number of great restaurants and cultural events that are easy to find and enjoy. 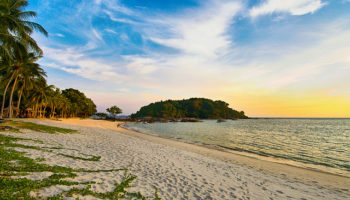 As Port Dickson doesn’t have a direct public transport link with Kuala Lumpur, visitors wishing to take a trip to the beach resort town need to take two buses to get there. From Pudu Sentral, you need to take an hour-long bus-ride to Serembam. From here, bus number T30A will take you to Port Dickson; this journey again takes around an hour. 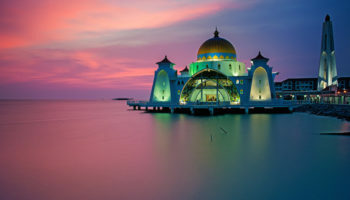 If you’re lucky and have a smooth connection, then it can take as little as two hours to get from Kuala Lumpur to Port Dickson. If not, it may take up to three hours or more. Driving is the safest option if you want to make the most of your time in Port Dickson. The drive generally takes between an hour and two hours, depending on traffic. Head directly south out of the city on the E9 and follow it all the way to Serembam. Here, turn off and follow the signs to Port Dickson, which is around ten kilometers away. 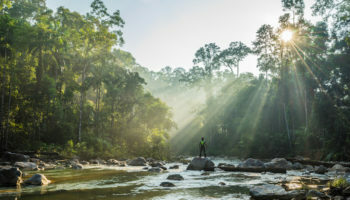 Another popular day trip from Kuala Lumpur, the Kuala Selangor Nature Park serves as one of the best examples of a preserved estuarine wetland in all of Asia. Home to the endangered milky stork, the park has, when funds allowed, promoted breeding programs and preserved the home for important species like the stork, herons, silver leaf monkeys and macaques. The main reason why people go here however is to marvel at the fireflies along the banks of the Selangor River. There is nothing like cruising on a boat along the river in the night to capture the beauty of this wondrous sight. 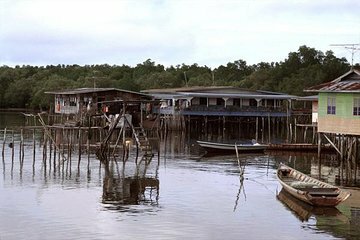 Lying on the west coast of Malaysia, Kuala Selangor Nature Park is about two hours away by bus from Kuala Lumpur. From Medan Pasar Bus Hub, take bus 100, which departs every half hour to Kuala Selangor. Once you arrive, the Nature Park is just a short taxi ride away. By car, the journey time is cut in half, so it only takes an hour if the traffic is good. To drive there, head northwest out of the city on the E. After a while, turn off onto the E25 heading west. Follow it until the coast, when you turn onto road 5; here, you should find signs pointing you to Kuala Selangor, just a short drive away. Once in town, you’ll also find signposts directing you to the Nature Park. On the way to the park, it is well worth stopping off at the lovely Recreational Forest Bukit Lagong, which you’ll pass just outside of Kuala Lumpur. To avoid driving back yourself at night or navigating public transport, a guided tour is recommended. This will enable you to see the majestic fireflies that the nature park is renowned for without having to worry about getting home. Alongside a memorable boat ride, a tour also includes a trip to an ancient fort and a royal burial ground. See trip reviews & prices. The Kuala Gandah Elephant Sanctuary is located within the confines of the Krau Game Preserve. It is known for rescuing problem elephants who are unfit for the typical use of farming or pack animals, and relocating them to safe habitats that allow them freedom without concern of clashes with rural farmers. The center also serves as an educational center, where they allow guests to watch elephants being bathed and fed, explore informational videos, and get a chance to donate to the program keeping the small population of Asian elephants protected even when they don’t play well with others. It is roughly a two hour drive from Kuala Lumpur. While Kuala Gandah Elephant Sanctuary is just about doable by public transport from Kuala Lumpur, it is a bit complicated; the end part of the journey still involves a 15-kilometer taxi ride to the sanctuary. From the Pekeliling Bus Terminal, the bus to Lanchang Town should take around an hour and fifteen minutes – these depart every hour. Once you arrive at the town, you need to take a taxi into the Krau Game Reserve, where you’ll find the sanctuary. It is a lot simpler to drive to the sanctuary yourself and takes around 90 minutes from the center of Kuala Lumpur. Head north out of the city on the E33, which merges into the E8, and simply stick on the same road until Exit 816 at Lanchang Town. From there, follow road 236 directly to the elephant sanctuary, just 15 minutes away. The great thing about taking the car is that you can combine your visit to the sanctuary with a stop at any of the sights you pass along the way. 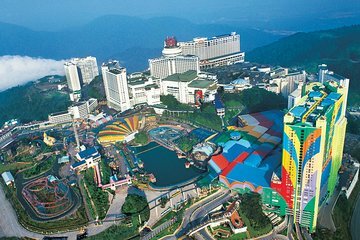 For example, the scenic Chamang Waterfall, peaceful Japanese Garden, and lively theme park city of Genting Highlands are all just a short distance away from the sanctuary by car. Many people also opt to take a guided tour to Kuala Gandah Elephant Sanctuary; these often include a stop at the incredible Batu Caves along the way. This means that visitors can explore the holy Hindu shrines and get up close and personal with the elephants at the sanctuary all in the same day. See trip reviews & prices. Just 13 km (8 miles) north of Kuala Lumpur a towering limestone outcrop is home to these impressive caves. In the 19th century a small Hindu shrine was built in the largest cave, later known as Temple Cave. An enormous golden statue of Lord Murugan, to whom the caves are dedicated, stands at the foot of a flight of 272 steps leading up to Temple Cave. At the top of the stairs, visitors will find three huge limestone caves plus smaller ones filled with Hindu art and statues Visitors may want to bring peanuts or bananas for the monkeys that will greet them upon arrival. Located just a short distance from the center of Kuala Lumpur, the Batu Caves are very easy to get to using public transport. Just hop on a train from KL Sentral, and you’ll arrive at Batu Caves only 30 minutes later. These trains run every 20-30 minutes, and tickets are very cheap at less than 3 MYR. Once you arrive, you can’t fail to find the caves, which are very well-signposted and just a short stroll away. If you want to gain more insight into the significance of the caves, as well as a deeper understanding of Malaysia’s rich culture, then a guided tour might be the thing for you. As well as taking you around the Batu Caves, a tour also includes a stop at two nearby handicraft centers, where you can learn how silk and other traditional arts and crafts are made. See trip reviews & prices. Melaka (or Malacca) is an old city that was one the capital of a powerful Malay kingdom before the colonial era, as well as a city under subsequent Portuguese, Dutch and British rule. Many buildings here have a beautiful combination of colonial architecture and vibrant Asian color. Large, white pillared manses with red and purple roofs sit above golden gardens. The crumbling remains of A Famosa, the Portuguese fort founded by Afonso de Albequerque, sits among the modern city skyscrapers of Melaka town while the Dutch district features some of the oldest Dutch architecture in the East. Of special note here is the large spires of the Church of St Francis Xavier, which are expansive and easy to see on the skyline. Lying 150 kilometers to the south of Kuala Lumpur, travelers hoping to visit the majestic Melaka have a number of options available to them. Using public transport, the easiest way to get there is to take the direct bus that runs between the two cities; this leaves every half hour, taking around two hours to reach Melaka. The bus departs from Bandar Tasik Selaton, which is about 30 minutes from the city center. You can get there on any of the transit trains that service it, such as the LRT or KLIA. 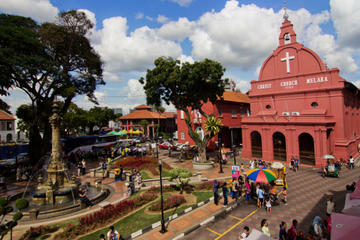 Once you arrive at Melaka Sentral, it is a short bus journey or taxi ride to all the main sights, and bus 17 takes you to the beautiful Dutch Square. Another option is to drive there yourself. 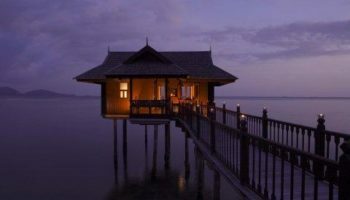 While it is relatively simple, it also affords you the luxury of stopping off at some other lovely places on the way, such as the delightful beach resort town of Port Dickson and the city of Putrajaya, which has lots of impressive architecture for you to enjoy. From one city to the other, it takes about two hours depending on traffic, and the directions couldn’t be more straightforward. Simply head south out of the city and follow the AH2 for around an hour and a half – all the way until Exit 231, where you will see signs to Melaka. 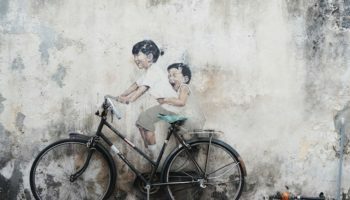 If all this sounds like a bit too much to navigate on your holiday, a guided tour to Melaka is a fantastic way to see the city’s incredible sights in just one day. After being picked up at your hotel, you simply need to sit back, relax and listen to the commentary about what you can expect to see in Melaka. See trip reviews & prices.